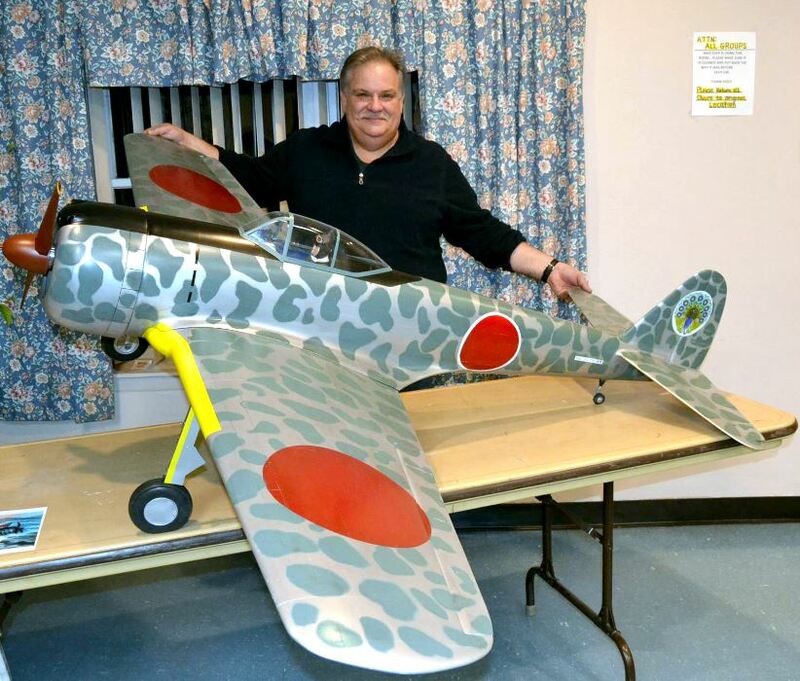 From Holbrook Long Island, NY, Sal Calvagna will for the first time be competing at Top Gun with his Nakajima Ki-43 Oscar. 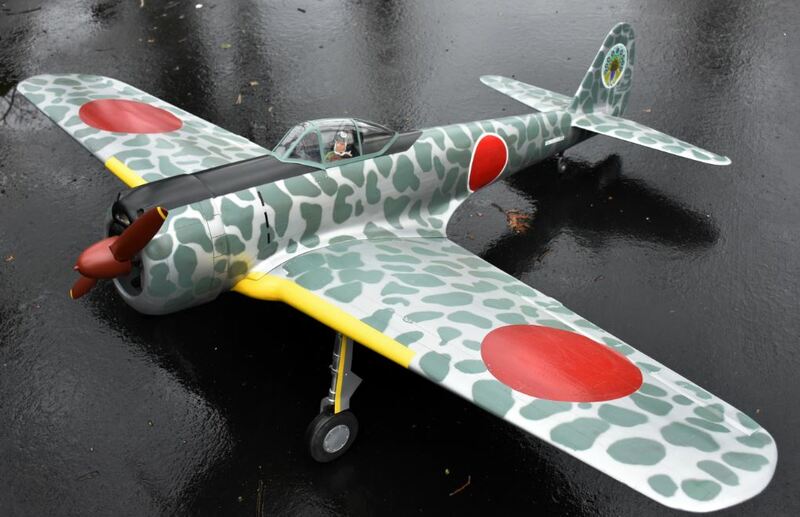 Competing in the Pro-Am Sportsman class, Sal built his Ki-43 from Jerry Bates plans with laser-cut parts from LaserCutUSA.com. 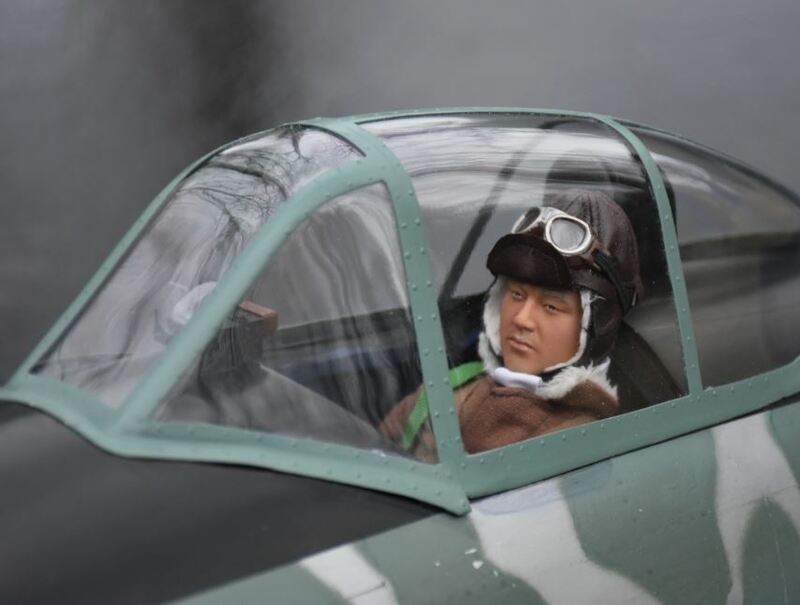 Sal’s 1/5-scale Japanese warbird has traditional balsa and plywood construction and is covered and finished with 3/4 oz., fiberglass cloth and Z-Poxy Finishing resin. The paint is a combination of Krylon spray paint and custom mixed Behr’s exterior Latex paint topped off with Krylon clear coat. 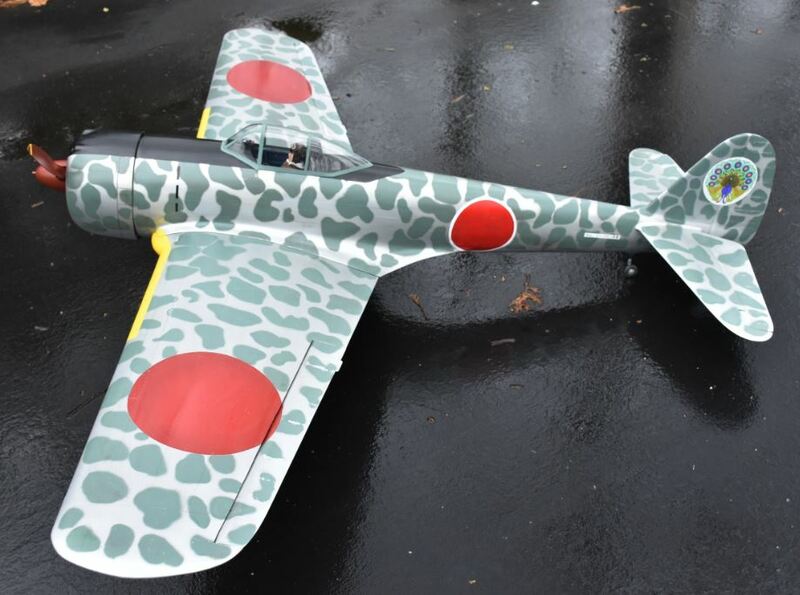 All the markings are hand painted with the exception of the tail badges which are home-made water-slide decals. Sal’s Oscar is powered with a Zenoah G62 (turning a 22×10 Menz prop), with a custom-made exhaust system. Guidance comes from a Spektrum DX9 Radio using Hitec metal gear hi-torque servos. Sierra Giant Scale retractable landing gear are used and the entire airframe is detailed with panel lines, hatches and thousands of rivets. It took a little over seven months for Sal to complete the Oscar. 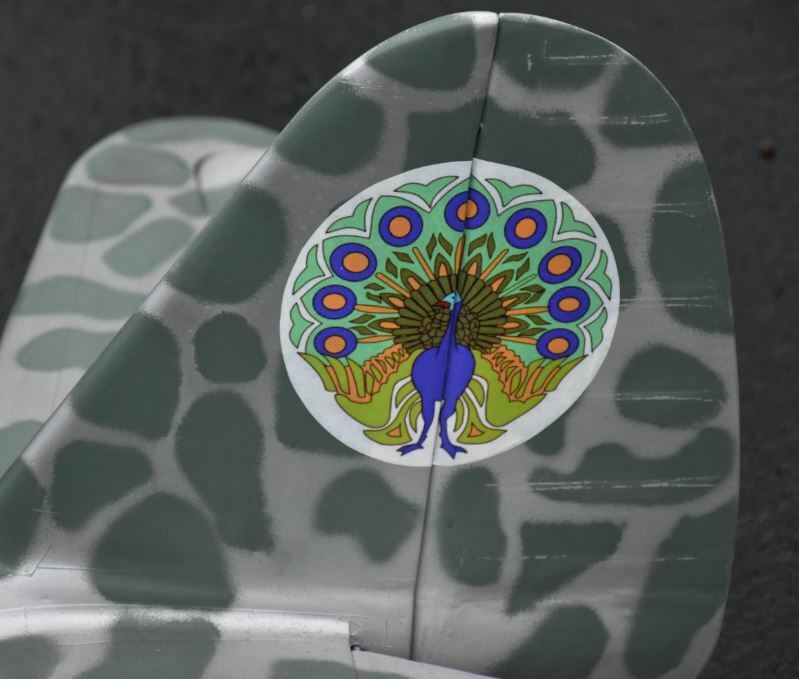 Sal made his own water slide decals for the tail markings on the Oscar. That is a nice looking Oscar, Sal. Will we be seeing it at the Toledo Show? I hope that I can get to Top Gun this year and see it.